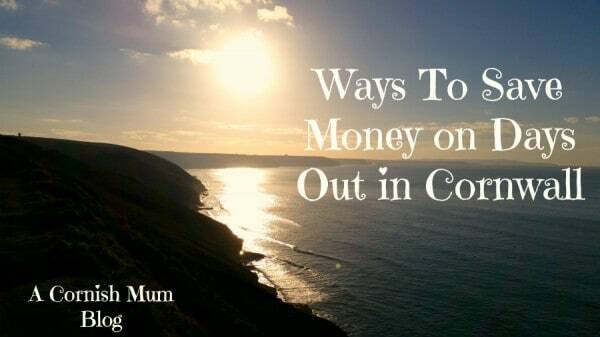 This week I’ve been asked by several people online where they can go and what to do in Cornwall when it’s raining. Looking out of the window today, I can’t help but feel a little sorry for those of you that are right now spending your nights in a tent in Cornwall. I suspect you’re all a little soggy and wondering where the beautiful hot weather we had earlier in the year, that convinced you to book a camping holiday in the first place, has gone. 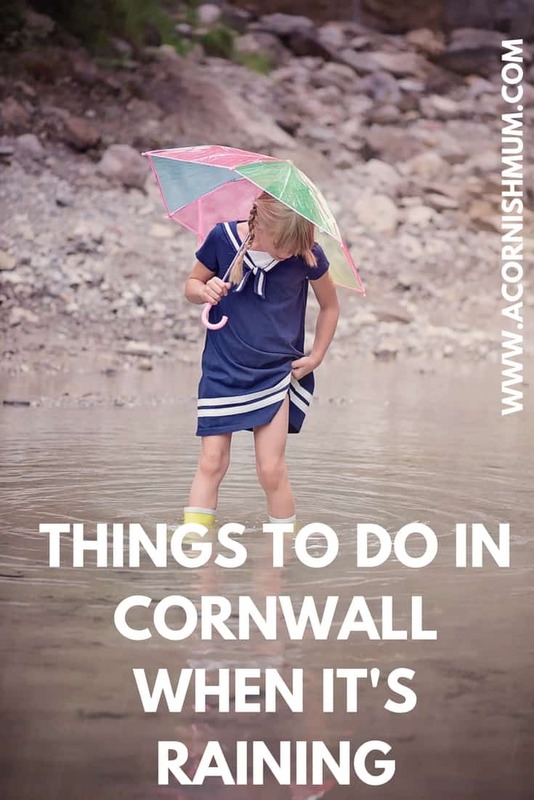 Don’t despair though – unless your tent has blown away – there is still plenty to do in Cornwall in the rain, and even some pluses to this weather believe it or not! Here’s a little list of things to do and places to go, to give you some ideas of ways to have fun in the rain, because sadly it seems to be here to stay. Go to the cinema – there are several cinemas around Cornwall, with our favourite one being our local one in St Austell. If you want to know what films are on in St. Austell, Truro, Wadebridge or Newquay then the times and films are all on the WTW Cinema website. Bowling – again there are different places to bowl in Cornwall, and our favourite one is Truro Bowl as the staff are friendly and Si and I used to bowl there every week for a while. National Trust Houses – pop to the National Trust website for ideas of houses near to the part of Cornwall you are staying in. There are some gorgeous houses around with stunning grounds that you can explore in between showers, or with wellies and umbrellas. A National Trust house can be fun to explore at any age, and their cafes are definitely a good place to shelter from the rain and use it as a good excuse to eat some cake. Our favourite is definitely Lanhydrock near Bodmin. 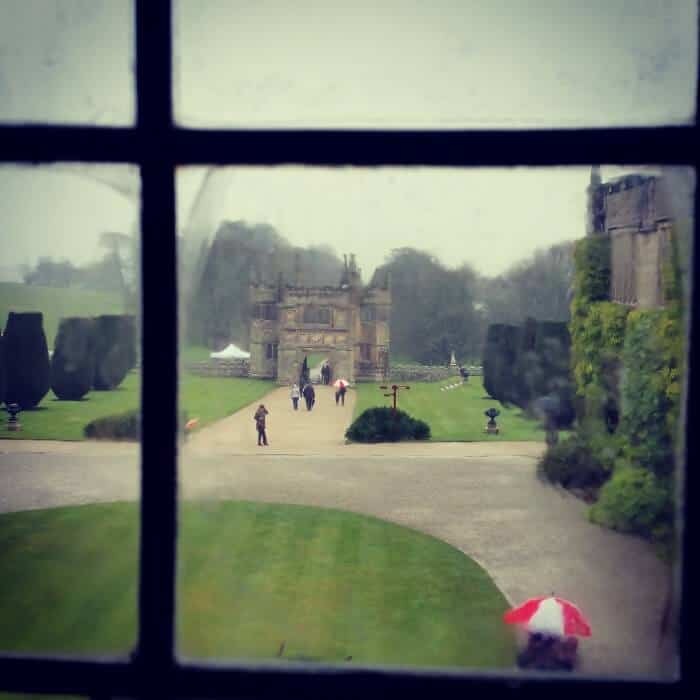 It was raining on the day I took this photo looking out to the gatehouse. Lanhydrock also has some brilliant cycle trails, including a stunt area with humps and more, which with the tree cover isn’t always too soggy if it’s not heavy rain. Hall For Cornwall – it’s always worth checking what shows are on at the Hall for Cornwall in Truro, and whether they have any last minute availability. Or if you’re super organised and have seen the forecast in advance, then you can book in advance and stand more chance of getting tickets. Visit the Hall for Cornwall website for more information. Bodmin Jail – Bodmin Jail is mostly undercover, with spooky fun for everyone and they have a restaurant to dry off in. It’s also usually open every day all year. Check out our Bodmin Jail day out. Flambards or Camel Creek – both Flambards in Helston and Camel Creek near Wadebridge are mostly outside, although they both have indoor areas. However I actually prefer going to both during the holidays when it’s raining, because it’s always quieter, and at the end of the day if you’re going on the log flume you’ll get wet anyway. 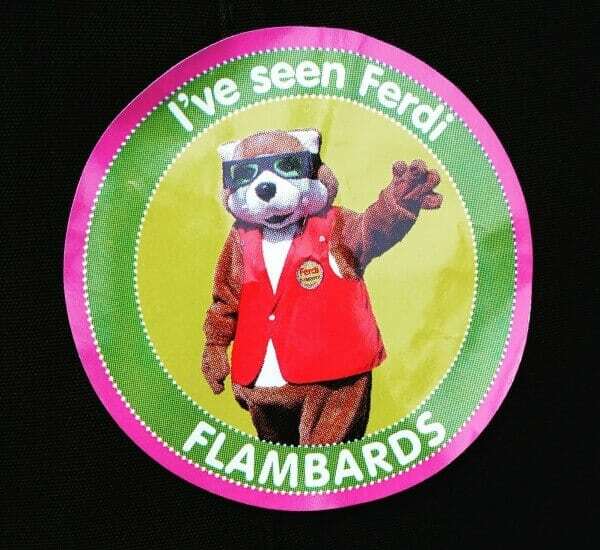 We recently had a very soggy visit to Flambards. Trethorne Leisure Park – Trethorne is near Launceston and is partly outside, but in the indoors areas there are animals, soft play, ten pin bowling, dodgems, games arcade and more. The food there has always been lovely whenever we have been as well. The Woods – if you own a pair of wellies, then why not follow in Peppa Pig’s footsteps and do some jumping in muddy puddles? Often in wooded areas you are protected a little bit by the trees above you, and many woodland areas in Cornwall such as Tehidy and Cardinham have a cafés for you to warm up at with a hot chocolate. National Maritime Museum – this is somewhere we haven’t been yet, but which I have heard good things about. They are in Falmouth, and have different activities and events on, so it’s worth checking their website for details of what’s on when you want to go. This place is definitely on our to do list. Visit some of Cornwall’s other types of Museum – The Regimental Museum in Bodmin is free entry for children and the Helston Museum is free entry for anyone. Helston even allow dogs on leads. If you go to the Museums in Cornwall website, you can find a full list and extra details of a lot of Museums. Aquariums – there is a fantastic aquarium in Plymouth (Devon I know, but only just!) which has a soft play area as well, and another good one in Newquay. There are also some smaller ones around the county that we haven’t been to, but which you can find via an online search engine. Harlequinns – this is in Bude and has ten pin bowling and a large soft play area (sorry parents but soft play is a necessary evil sometimes). Soft play centres – a nightmare for many parents, but a definite holiday saver when the kids have had enough of not being able to play outside because of the rain and need to burn off some energy. There are loads of these places around Cornwall, including Kidzworld in St Austell, Raze the Roof in Penryn, Bombadingas in Redruth, Jungle Jacks in Newquay, one2eleven in Helston and more. Clip ‘n Climb – This is inside the Cornwall services just outside of Roche and has climbing walls, soft play and for the adults there are a lot of yummy places to eat whilst you wait for them to tire themselves out. Check out the Indoor Active website for more information. 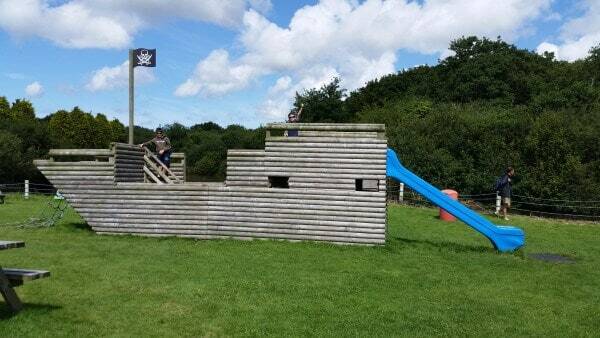 Retallick Aqua Park – Well if you are going to be getting wet already, you may as well do it in style. My eldest has been here for a school trip recently (2016 update) and absolutely loved it. Picture a giant bouncy castle with slides on the water and you get the idea. It is for age 7 and over, pop to the Aqua Park website for more information. Get your skates on – Pop to Rollers Roller Rink in Pool (TR15 3RH) for a bit of retro fun for a skate, or just to enjoy the arcade. I have never been here as I have an appalling sense of balance, but I have heard good things. Check the Rollers Roller Rink website for opening times, as although it is mostly in the evenings, they are open during the day on some days of the week including weekends. 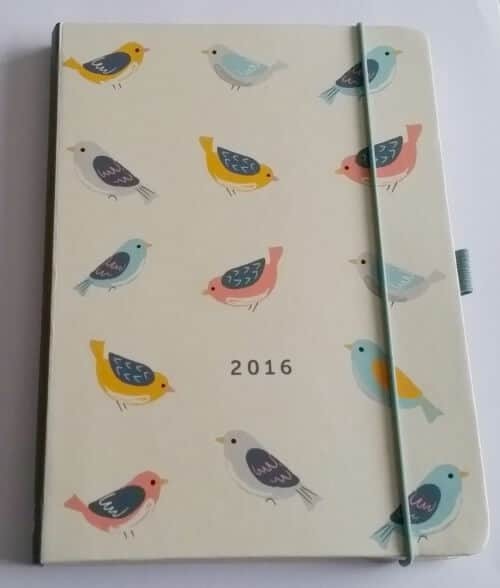 I hope some of this has helped you to find something to do! However my biggest piece of advice would be to not let the rain stop you from doing anything, Cornish weather is unpredictable and it may well brighten up whilst you’re out and if not, then you now know why most Cornish people own welly boots! Feel free to comment below with any of your own rainy day ideas, and for those staying indoors, I wrote a post recently on things to keep children amused on rainy days, including Hugh Jackman colouring sheets for the Mums. I also have posts on places to visit in Cornwall all year and one with over 100 places to visit in Cornwall. It’s one of our favourites as well, the boys love the cycle trails there especially the stunt area. I also feel for these poor people camping in the rain! Soggy is most definitely the word! Plenty of things for them to do though so it’s not all bad! Oh and that photo is fantastic! I am so not a camper, I don’t enjoy being soggy and I much prefer glamping ha! This is a great resource for local families, glad there are so many things you can do in the winter or on rainy days. It’s always nice to have a list to check out whenever it’s a bad day to stay in the house (quite often for us, the boys LITERALLY bounce off the wall!). This is a great post Stevie! Places like St. Michaels Mount are great on rainy days too. We love Tehidy Woods because it’s slightly sheltered. Although you can’t beat a nice walk along the beach in the rain. It’s actually so much fun! Even when it’s mizzle and you get soaked right through. There is a great place between Hayle and Helston too called Country Skittles. It’s an old ten pin bowling alley, but it’s also a place full of games. Perfect for rainy days! They have 100’s of board games, an arcade area, mini golf, some kind of shooting thing, giant drafts, pool tables and much much more. It’s brilliant and only something crazy like 75p entry per person! You have to pay for bowling but all of the board games are free. It’s a great place to spend with family and friends.s They do great food too! Ooh I’ve never been to Country Skittles, probably as it’s quite far form St Austell, but we may have to investigate at some point!